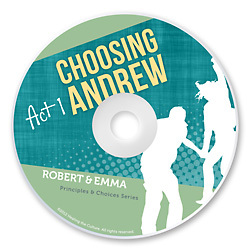 Robert and Emma is an 4-act audio drama that follows two friends who discover how precious life is from its first beginning…to the very end. It’s a fun and engaging way for students to learn about the Ten Universal Principles, and hear them applied to real life situations. Listen to Act 1, and purchase the full audio drama here.